It’s the eternal question that we all face when it’s time for a new version of Android: when will I get it? We have the answer! Well, sort of. Android is a fragmented mess customized by many different smartphone makers, so finding out when exactly you’ll get Nougat depends on a lot of different factors. However, a lot can be learned from previous updates as well as announcements and leaks (see this research from Computerworld for more about past update performance). Here’s what we know so far. We’ll continually update once more details about Nougat updates become official. If you want to be among the first to get Android Nougat, you chose wisely by going with a Nexus device. If fact, if you have a Nexus 6P, 5X, 6, 9, Player, or Pixel C tablet you can get the final Android Nougat developer preview right now. Nougat will likely appear first on a pair of new Nexus phones, which are probably made by HTC. Nougat should then follow shortly thereafter for existing Nexus devices. We can get an idea of the timing by looking at last year: Android Marshmallow was released on Oct. 5, while the Nexus 6P and 5X were announced on Sept. 29. 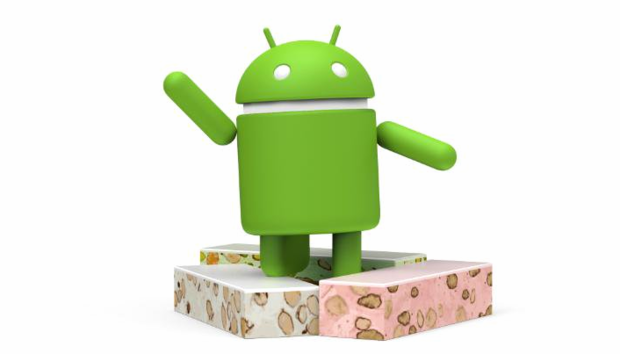 So once the newest Nexus phones get shown off, that means Nougat time is near. The first company to make a major commitment to Nougat was HTC. A tweet confirmed that the HTC 10, One A9, and One M9 will get the update. HTC is one of the better companies when it comes to communicating about updates and trying to get them in a timely out to the flagships. So if you have one of these phones, stay tuned. The most dominant handset maker by far is Samsung, which has pulled together a string of hits this year with the Galaxy S7, S7 Edge, and the forthcoming Note 7. Unfortunately, while the company is great at hardware, sometimes the Android updates can turn into a slog depending on the carrier. For example, the AT&T Galaxy Note 5 and S6 Edge+ finally received Marshmallow in June 2016, a full eight months after the software’s release. On the other hand, the international, unlocked versions got the update in February. Samsung has been better at delivering the monthly security updates, as there’s less room for carrier interference. If you have a Galaxy S6, S6 Edge, S6 Edge+ or Note 5 there’s a high likelihood you’ll get Nougat, but probably after it goes to the current flagships. It turns out LG may actually beat Google to delivering a phone with Nougat first out of the gate. Rumors are the LG V20 will launch in September and come with Android 7.0. LG has a mixed record when it comes to updates. They usually deliver for their most recent top-of-the-line phones, often after a limited test in a small region like Poland. We’ll let you know as we start to get more solid information. In terms of current models, there’s a good chance the LG G5 and V10 should get Nougat, as the company went a couple of generations back to deliver Marshmallow to the G3. If you’re still holding onto that one, however, there’s a decent chance you won’t get Nougat as it’s outside the typical 18-month update window that a lot of manufacturers and carriers pledge. Outside of the hardware innovation we saw with the Moto Z, there isn’t much in the Lenovo acquisition that gives us confidence about rapid updates for the Z Droid and Z Droid Force, which are currently Verizon exclusives (a non-Verizon, unlocked version of the Moto Z is to come later). Also, the company recently declined to commit to the monthly security update cycle, which isn’t great news. The upside is the software is pretty close to stock Android with a few add-ons, but you may be in for a wait to get Nougat. Motorola has other phones, namely the Moto X Pure Edition and Moto G4, which is the latest in the budget lineup. We expect to see Nougat updates for those, so the best advice is to keep an eye on the Motorola blog for announcements.